New vendors join our old favorites. 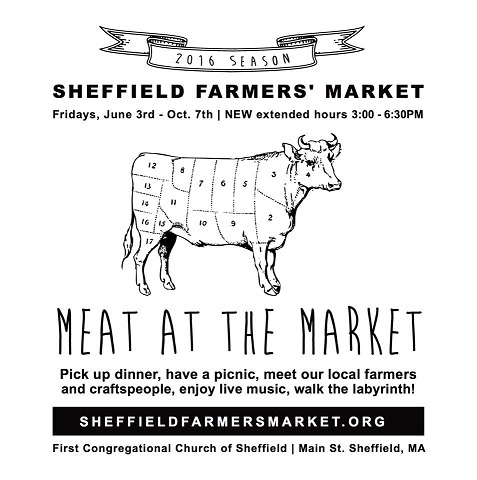 The Sheffield Farmers’ Market can be found in the church parking lot throughout the summer. The 18th season of the Sheffield Farmers’ Market opens this Summer on Friday, May 25th from 3:00 – 6:30 pm. Once again, Old Parish is busy in our ‘Stone Soup’ booth at the Sheffield Farmers’ Market (on Friday from 3:00-6:30pm), New volunteers are needed as well as those who’ve helped in the past. If you are unable to staff the booth, but would be available to help at 2:00 for set up, or around 6:15 to help break down the booth-that too would be a huge help. If your garden is overflowing already, we would welcome your “extras” for the booth! Or, if you’d like to make some quilted pot holders or other handmade items to sell, they would also be a welcome addition. The Sign-up sheet is in the Fellowship Hall.